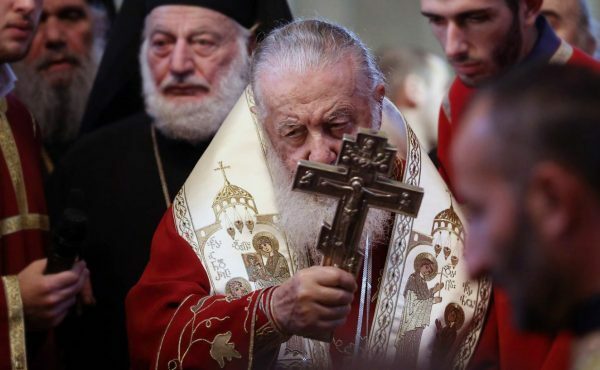 Tbilisi, February 17, Interfax - Catholicos-Patriarch Ilia II of All Georgia has made his first statement after undergoing surgery at a Berlin clinic regarding the detention of Deacon Giorgi Mamaladze, who has been accused by the Prosecutor's Office of attempted murder. “I have known Father Giorgi for a long time and have heard nothing but good things about him. The story with Father Giorgi is strange and not normal,” the patriarch said in an interview circulated by the Zugdidi-Tsaishi Diocese. “No one will be able to disrupt the unity of our people and our Church,” he said. Deacon Mamaladze faces attempted murder accusations. He was detained at Tbilisi International Airport on February 10 carrying the toxic substance cyanide. Georgian Chief Prosecutor Irakly Shotadze said at a press briefing earlier that Mamaladze was accused of attempting to murder a “high-ranking clergyman” in Germany.